Last summer, Ca$h Out had the anthem and he followed up with some solid tracks, too. Closing out 2012, Ca$h Out released his Keisha EP and began making preparations for his debut album, Patience. Now, it looks as if Ca$h Out will be making a quick pit-stop. Since mixtapes are where he built his name, Ca$h Out is delivering one more before he goes into his debut album. In the meantime, Ca$h Out has continued delivering hits, collaborating with many fellow rising stars in Atlanta. With so much new music in store, Ca$h Out decided to also release his mixtape, Ya Feel Me? Yesterday, Ca$h Out took to his Instagram to announce his mixtape. 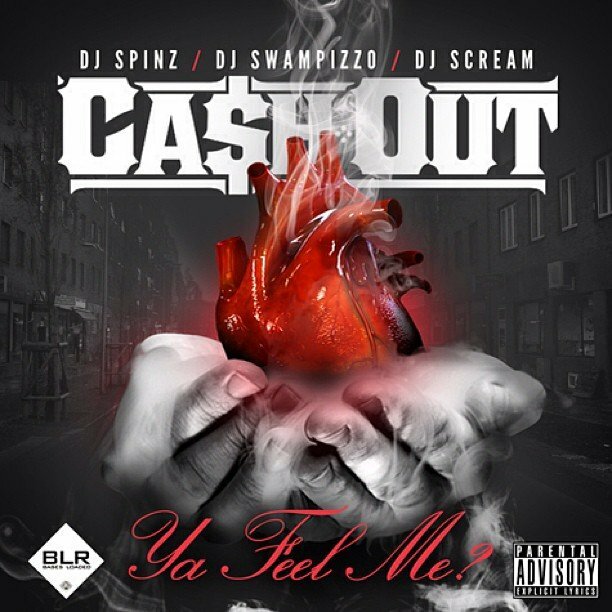 He is having the project hosted by DJ Spinz, DJ Swamp Izzo, and DJ Scream. On Instagram, Ca$h Out said this will be all the people need to hold them over. Ca$h Out plans to release this project on August 15. Tagged atlanta ca$h out dj scream dj spinz dj swamp izzo instagram keisha patience ya feel me?